Dimensions: total height 85cm, seat height 45cm, width 50cm, depth 58cm, weight 7kg. 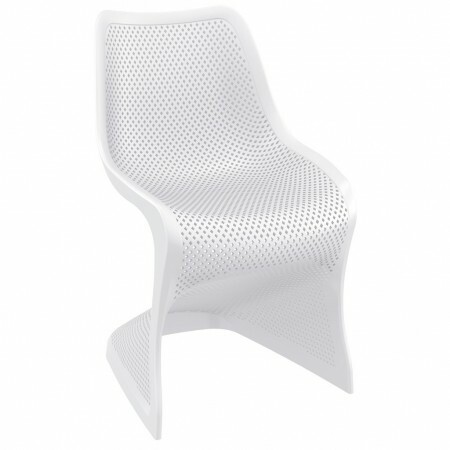 BLOOM is an elegant chair for indoor and outdoor use. Its original and refined design allows it to find space in any project: from the dining room, to the kitchen or in the composition of a sought-after terrace. The BLOOM chair is produced with a single injection of polypropylene reinforced with glass fiber obtained by means of the last generation of air moulding technology, system designed to satisfy the specifications of the neutral tones. BLOOM is a excellent furniture solution in private context but also in contract projects.